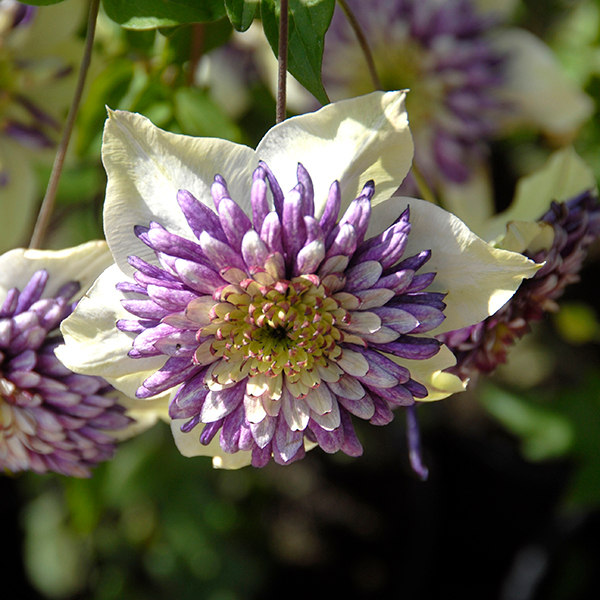 A relatively new introduction from world-leading clematis breeder Raymond Evison, clematis 'Vienetta' is a free flowering variety, producing masses of double creamy flowers with a striking pompom of purple inner petals - looking almost like it's been crocheted! 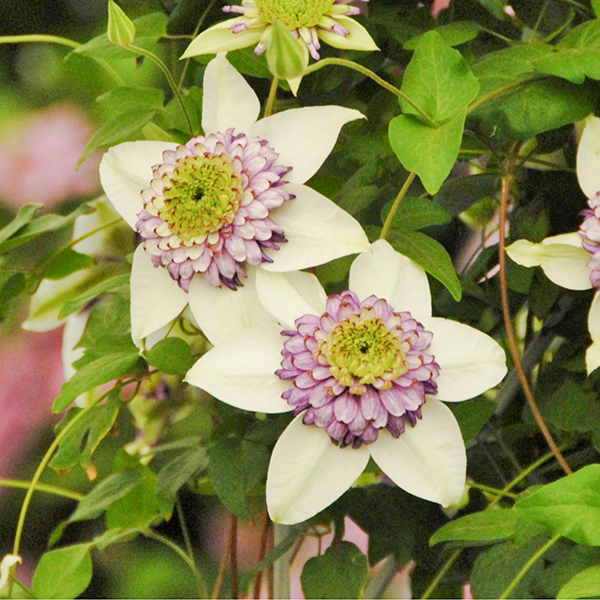 'Vienetta' has got to be one of the most stunning and remarkable clematis varieties and a guaranteed head turner whenever it is in flower. Preferring a sheltered part of the garden so that the flowers are not disturbed by cold winds, the relatively compact nature of 'vienetta' makes it ideal for growing in a container. When planted in the garden, it makes a real feature when grown through evergreen shrubs, which will also provide protection from winter cold. 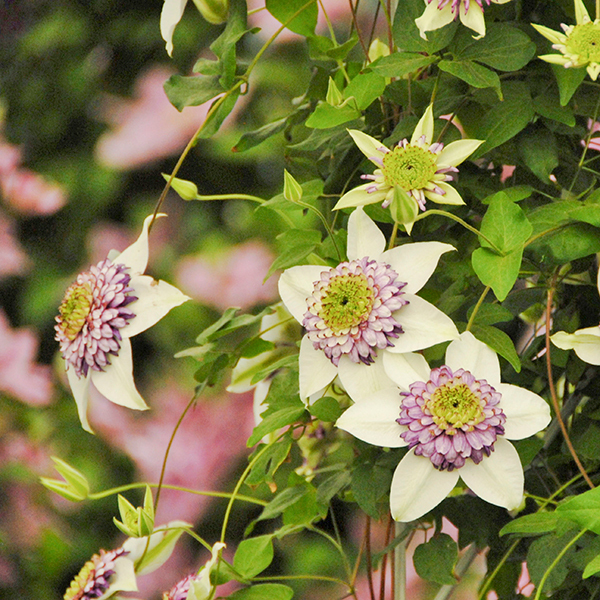 Hardy though most of the UK, this clematis may suffer foliage damage and stem dieback in harsh winters in cold gardens, so we recommend growing it in a pot so that it can be brought undercover over winter - alternatively, this beautiful clematis is equally happy when grown in a conservatory or indoors when it will flower to Christmas or beyond. 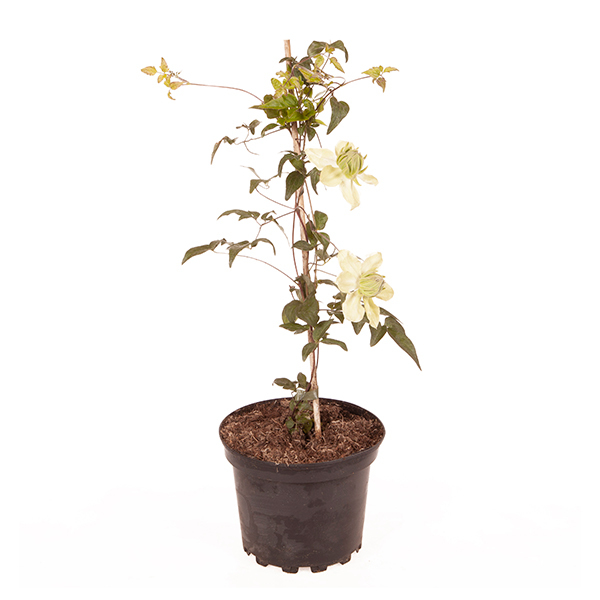 Supplied as: an established plant in a 2L pot.